"My goal is a high performance court that meets or exceeds national standards on every aspect of a criminal justice system." 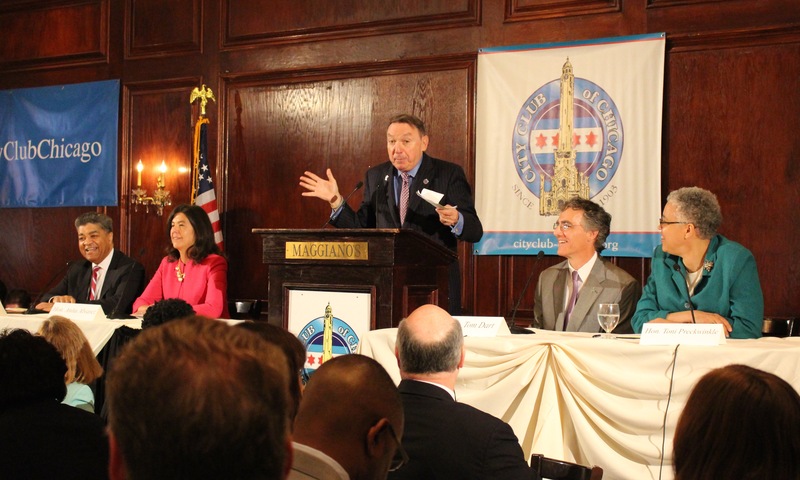 From left to right: Chief Judge Timothy C. Evans, Circuit Court of Cook County; State’s Attorney Anita Alvarez, Cook County; Paul Green, Professor, Roosevelt University, and moderator; Sheriff Thomas J. Dart, Cook County; President Toni Preckwinkle, Cook County Board. Topics covered by the panel included how to reduce the jail population while protecting public safety, the increased incarceration of the mentally ill due to the elimination of mental health services, and whether more people should be allowed to remain free while awaiting trial.